Every 365 days, we find ourselves in the same postion – entering a new year. And it seems that every year we use this time to reevaluate our lives and areas we need to change. I know I do it. Unfortunately, I seem to also find myself literally at the same place each year, dealing with the same goals. Sometimes I feel like a failure. Have you felt like that? Like the same old habits and ruts keep getting you down? James 4:17 gives us focus for positive change in our lives for a new year, a new month, week, or day. In light of mine and your sin problems, I want to make some serious progress on my goals this year and grow on to new goals for 2011! 1. Live in deeper community with Christ. I need to dig deep in my relationship with Christ by communing in His Word. I want to reacquaint myself with who He is. I want to focus more on His character and how I can begin to take more of that into my own. In 2010, I will take more time in solitude with God, while digging deeper in His Word. I will read through the entire Bible this year and spend more time on scripture memory. I also commit to read at least two books a month that encourage my relationship with Him. 2. Live in deeper community with others. I am really good about talking about community but I have fallen in a horrible rut of not leaning enough on others myself. I think most of it hinges on the fact that I don’t want to burden my group with my issues. I’m the pastor, I am here for them – they shouldn’t have to be there for me. Bottomline: That’s false. We need each other and I probably need more than most. It’s time to start acting like it. In 2010, I am going to peel back the layers and reveal more of experiences and struggles. 3. Invest more in the relationships that mean the most. I have a daughter at home who just placed her trust in Jesus and she needs me to show her how to follow, while I encourage her in the development of her own relationship with Christ. And – I have a son who still needs to introduced to who Jesus is. I can point dozens of people to Christ and I don’t give my kids the opportunity to see Christ, I fail. In 2010, I am putting my kids in their proper place in my priorities. They need time with me, with me really focused on them and not preoccupied by other things. 4. Take better care of my physical and emotional health. I have for too long neglected my physical and emotional health. I eat horribly. I plan to be healthy. Its the only way I can succeed at it. I don’t take enough time for myself. I don’t get enough rest and I don’t participate in emotionally healthy activities. In 2010, I will lose 40 pounds and take back control of my health. I will also spend time doing things that are relaxing and fun! So there you have it! Here we are again and here’s praying that we are better for it on December 31, 2010! 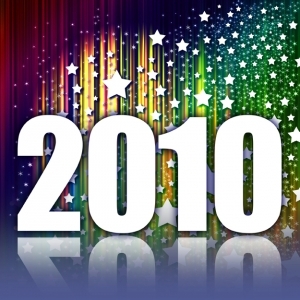 What are your personal goals for 2010?